Why trade style for substance when you can have both? Jacinta Walsh speaks with Carl John Yench, the managing partner at Europe Imports, about the benefits of using glass mosaic tiles for your pool’s interior. With a significant rise in popularity over the last ten years, glass mosaic tiles are now regarded a premier interior finish for pools across Australia. On the surface level, glass mosaic tiles are aesthetically pleasing, but there is much more to them than meets the eye. While these tiles are practical and durable, it’s their extensive variety of customisation options that really sets them apart. By blending different colours and textures, glass mosaic tiles provide pools with a unique appearance, while adding value to the home. The anti-fade and antibacterial properties of glass also contribute to the longevity and cleanliness of the space, ensuring that your pool remains in its prime for many years to come. Read on as Carl John Yench reveals why glass mosaic tiles are the preferred choice for the modern pool owner. Why are glass mosaics a popular choice for pool interiors? What makes glass mosaic tiles a wise choice for a pool? 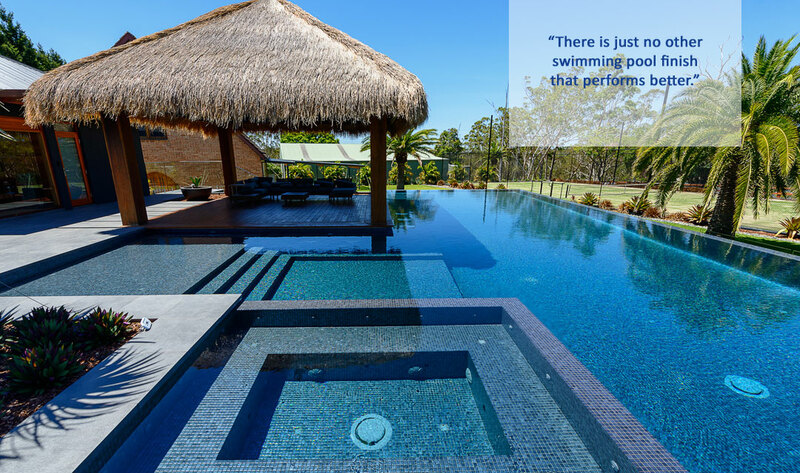 “Aesthetically, there is nothing as beautiful as a fully tiled pool. The vibrancy and depth of colour is unparalleled. Economically speaking, you [can] save money on running costs and maintenance as fewer chemicals are required, and the easy-to-clean flat surface enables the cleaning equipment to work much more effectively. What is the texture of a glass mosaic tile? What factors should pool owners consider before selecting tiles? Generally, what is the lifespan of glass mosaic tiles? durability. 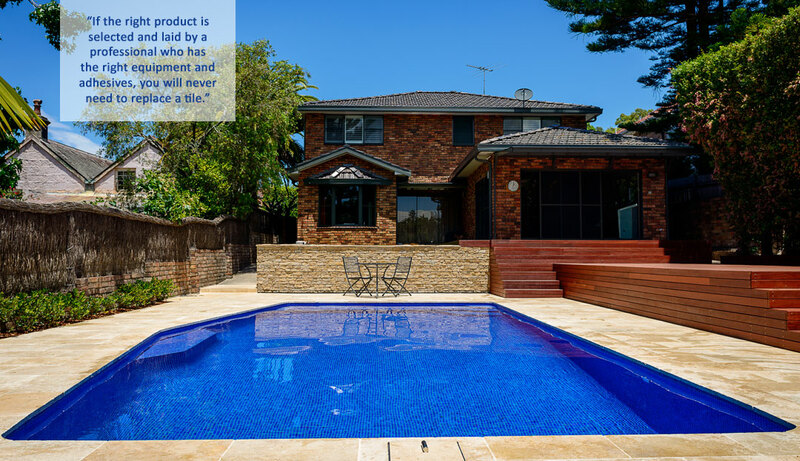 To ensure that you have a beautifully tiled pool for many years to come, the mosaic design and execution of the installation system must be completed in accordance with the Australian Standards for tiling, as stated by the Australian Tile Council. “Firstly, the mosaic should be produced by an ISO 9001-accredited company to ensure the manufacturing is consistent. The mosaic sheeting system must allocate 90 per cent of the available area for adhesion on the backside of the tile. The sheet should also be held together with a material that is non-reactive to ultraviolet rays and impervious to water absorption and swelling. with experience in swimming pool tiling. This is critical as tiling a pool is very different to tiling a wall or floor. Are glass mosaic tiles easy to clean and maintain? Are glass mosaic tiles easy to replace? “If the right product is selected and laid by a professional who has the right equipment and adhesives, you will never need to replace a tile. for safety, as it adds non-slip properties to the tile. Wavy-textured [tiles] seem to reflect less light when placed underwater than mosaics that have a flat surface. This is due to the varying angles within the surface, which reflect the light from the sun and disperse it through the water. “Surface effects are applied to the mosaic mainly for aesthetic purposes. This includes surfaces that are highly reflective or matte, or those with an iridescent effect or even a printed image. Depending on the effect [used], the reflectiveness or colour of the tile can change when combined with water.